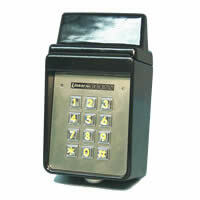 The MDKP wireless keypad can transmit a unique signal for each 1-6 digit PIN code entered. It has a built-in radio transmitter with a 250-foot range in line-of-sight conditions. It generates a separate transmission code for each user selectable 1-6 digit PIN. 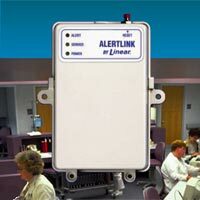 Codes are learned by the access controller or receiver, either the maximum number dependent upon the model used. For instance, if the controller is the AP-4, the MDKP can generate 338 unique codes. To operate the MDKP, a user simply enters a PIN followed by the # key, and the code is transmitted to the receiver for validation. Downlighting can be turned on by pressing the # key twice; it remains on for 30 seconds or until a code is sent. Installation and set-up are simple. The MDKP can be mounted on either a wall or a gooseneck. It is ready to use upon plugging in its 9 V lithium battery and programming of user codes. 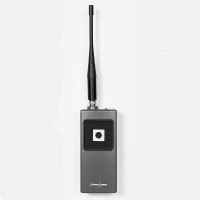 Features Factory programmed MegaCode format; internal antenna. 1-6 digit PIN for each user. 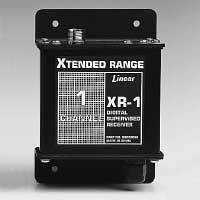 Long life lithium battery. Rugged cast aluminum housing. Built-in downlight.